God provided us with five concerts in about one week, and we were so grateful for each opportunity to share what the Lord has given us! It kept us very busy and including a lot of travel; we met new friends and renewed acquaintances as well. 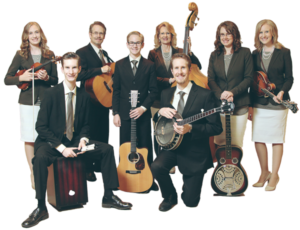 Our next concert was Sunday, November 21st, at Sandstone Evangelical Free Church in Sandstone, MN. Because of the icy roads and unpredictable weather we had a smaller crowd, but had a whole lot of fun together! On Tuesday, November 23rd, we became honorary “Super Adults”! 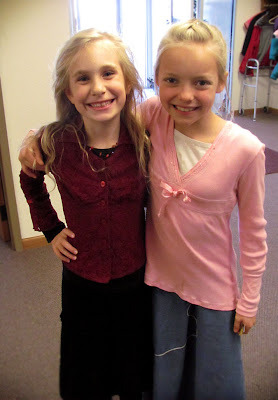 We sang at Clover Community Church in Cloverdale, MN for a sweet gathering of the “Super Adults”. 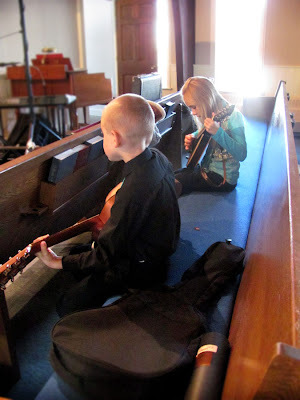 Here Jayme and Caleb play around before the concert. 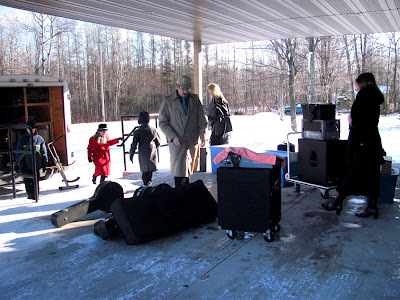 On Wednesday, the 24th, we drove south to Springfield, MN, as we had a concert in Tracy the next morning. We were able to see some family that lives down in that area. 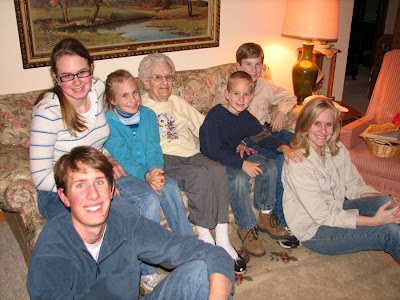 Here we kids are with our great-grandma who just turned 98-years old! Wow! It is such a blessing to visit with her! Thanksgiving morning at the hotel. A painter asked us to pose for a still-life watercolor picture. Yeah right! 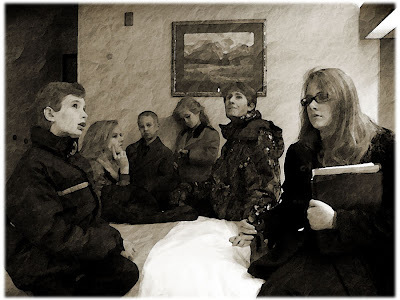 Just a touched-up photo of us kids having “fun”. Despite snow and sleet during our travels, God kept us safe from danger. Praise to Him! We sang at Tracy Alliance Church in Tracy, MN on Thanksgiving Day for those who didn’t have anywhere to go. It was probably the most different Thanksgiving for our family, but what a neat experience. 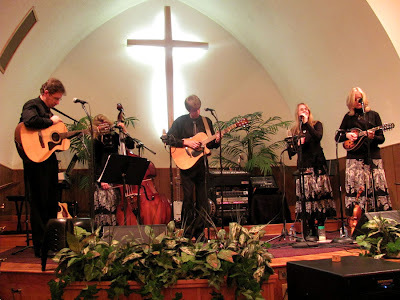 November 28th found us a 1/2 mile from our home at Braham Evangelical Lutheran Church. 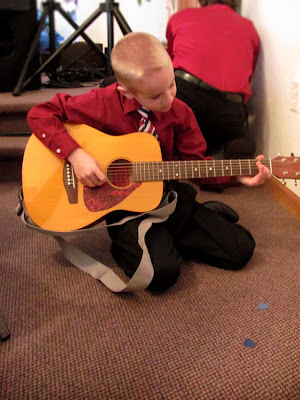 This was our first Christmas concert for the season and we had a lot of fun re-debuting our Christmas music. It was nice just be a minute away from home, but even so, I forgot my camera; so, sorry, no pictures! Well, that wraps up the parade of concerts! Taylor for the Garms crew. Okay, not to make a big “stink”, but it is Clover Community Church – not Cloverdale. Cloverdale is actually about 6 miles from the church. Clover Church is in Clover township, but the address is actually Hinckley. Crazy huh? Thanks, kippi, for pointing my mistake out-opps! I keep confusing the town and the church. I will change that!